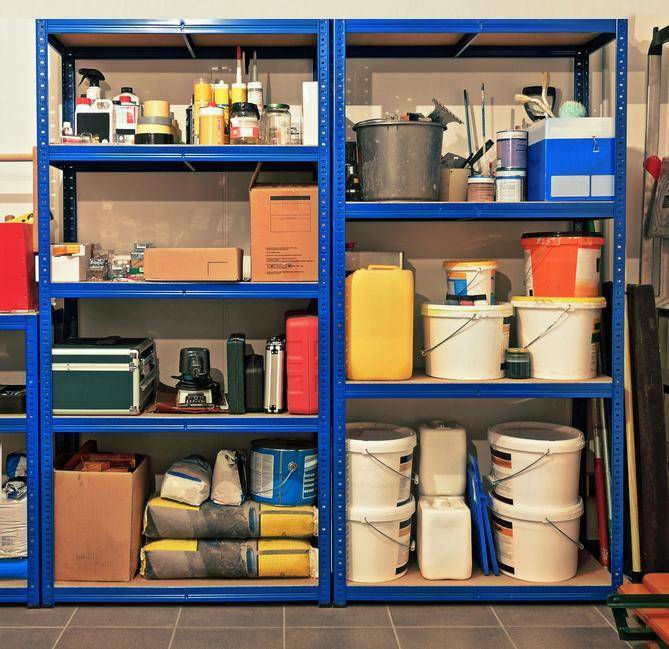 Aqua-Rax, Galwix, Q-Rax, S-Rax, T-Rax, and Z-Rax garage shelving and racking. To maximise your storage all our garage shelving units can be split down in to two practical work benches for additional working space. Why not combine taller garage shelving units with handy workbenches for your perfect garage storage solution or throw in a Corner shelving unit to make sure you don't waste any space. Look no further! MonsterShop's heavy-duty racking and storage solutions for homes, warehouses and shops require the ability to support such massive weights this means these garage storage shelves need to be extra strong to support a huge amount of weight. Finished with 4 layers of powder coated paint we promise you they'll look great no matter how hard you work them! All the shelves lock securely in place so you can be confident that these units will be supportive and stand tall. So if you're feeling inspired to sort out that shed, garage or workshop or simply need to update your warehouse or stock room with these fantastically strong shelving units - order by 2pm and we'll have them to you overnight with our super-fast next day delivery service (UK mainland).